The Battle for Britton: Success! July 2, 2014 update: The news gets better and better! We spoke with the Randy Entz, Oklahoma City Planning Department, today and he and the City planning team are overwhelmingly is in support of our planned bike lanes for Britton Road. They will modify the City Bike Route to reflect our new bike lanes on Britton Road - and he will orchestrate with City Engineer, Eric Wenger, to get everything striped at the completion of the construction, slated for December 2014. Good work by everyone who signed petitions, attended meetings and supported this project. This will be a huge benefit, not only the neighborhoods in this area, but the City. So can now resoundingly say, we won "The Battle for Britton". Thank you to Director Wenger, Councilman Greiner, and Neighborhood Alliance for allowing our modifications to the project and allowing this to happen. And last, but not least, a heartfelt thank you to Dan Burden, who has been our inspiration, teacher, supporter and coach. Mr. Burden the co-founder of the Walkable and Livable Communities Institute and a pioneer of the country's walkability movement, has been selected as a 2014 White House Champions of Change honoree. July 1, 2014 update: I am ecstatic to report that due to the work and combined efforts of all of our unified neighborhoods, in our newly formed Lake District Coalition, we were able to negotiate with City Engineer Eric Wenger. He has agreed to our requested modifications for a center turn lane, with two lanes of vehicle traffic. When I said "negotiate" that is what we did. He did not agree to mark the bike lanes, but has agreed to allow the space for the bike lanes. According to Mr. Wenger, city policy dictates that since Britton Road is not on the official City Bike Route, and would not agree to mark it as such at this time. However, we have the name of the City Planner that we need to talk to to fix this and get our bike lanes marked. We'll keep you posted - But good work everyone! It took great teamwork to make this happen. 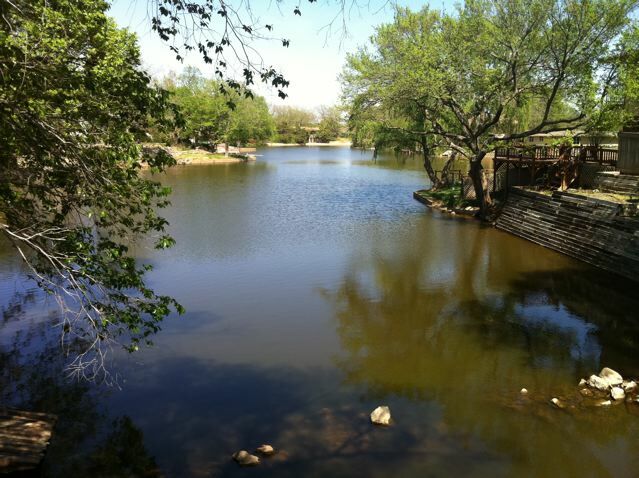 June 2014 update: The Briarcreek Board has united with surrounding neighborhoods to form a Lake District Coalition. Our hope is that we will have greater strength if speaking with a unified voice. Our first action item is the Battle for Britton. We will be meeting Tuesday, July 1st, at 6:00 pm, at the Hefner Police Station. OKC Director of Public Safey, Eric Wenger, and City Councilman Greiner to discuss again our desires for a two-lane road, center turn lane and bike lanes for Britton road. Not four lanes. April 2014 update: Briarcreek is still working to convince our elected officials that the plans we are requesting should be implemented. Recent meetings with Council Griener have not been fruitful, so please contact Council Griener to respectfully request his support for our neighborhood and surrounding neighborhoods. His office phone number is, (405) 297-2404, and his email is ward1@okc.gov. As our elected respresentative for Ward 1, he needs to hear from his constituents that we do not want a four lane road and we need his support. August 2013 update: Our attempts to work with the City over the past several years have failed. BNA leadership is evaluating other methods to accomplish our goal to modify the widening project. Briarcreek has been in contact with City officials to monitor the widening of Britton Road project just east of Rockwell Avenue. According to Eric Wenger, City Engineer, the Britton Road project was part of the 2007 bond issue project approved by the voters of Oklahoma City. Briarcreek and other surrounding neighborhoods are requesting that the project be modified from it's current plan of four lanes of automobile traffic to two vehicle lanes, a center turn lane and two bike lanes. This would allow the sidewalks for pedestrian traffic, bike lanes for bike traffic to Lake Hefner and two lanes with center turning lane to move the vehicle traffic. We feel that this change is a must-have modification for the safety of children crossing to Wiley Post Elementary, for our the safety of our residents who will be will find it difficult to enter and exit the neighborhood on Britton Road. Researchers have found that plans like ours, dubbed "Road Diets", can be expected to reduce overall crash frequency by 19% to 43%. Briarcreek is hoping to obtain grant funds after the completion of this road project and continue our Briarcreek Beautification plan that includes landscaping along the southern perimeter of the Briarcreek Addition and along Britton Road. Carolyn Leonard vividly remembers the first time she volunteered. It was at church in Leonard's hometown of Buffalo in northwestern Oklahoma. Leonard, 5 years old at the time, and her brothers planned to sing a special song. The pastor asked the name of the song. "I wanted us to sing, ‘Pistol Packin' Mama,' but the preacher asked us to choose ‘Jesus Loves Me' instead," said Leonard, 75, of Oklahoma City. That certainly has not detoured her from volunteering throughout life. "I volunteer because my parents taught me whenever we receive, it is our duty to give back, when we learn something we should teach it to others," Leonard said. She's served with the Oklahoma Writers' Federation Inc. holding several offices, including president, and continuing to serve as a board member. Leonard is, or has also been, involved with the Oklahoma City Writers, Inc., Briarcreek Neighborhood Association, Federally Employed Women, Oklahoma Historical Society, Oklahoma Genealogical Society, the Edmond Genealogical Society and other organizations. "Each of the organizational leadership roles better prepared me for the next one," she said. Leonard was born to Ernest S. Branch and Imogene Parsons Branch on the family's farm in Harper County, near Buffalo. Her father was a farmer, but always had a second job. Imogene was a teacher until they married and then became a stay-at-home mom. She eventually went back to college and got her Master's degree. She also returned to teaching. "But she didn't get to live her dream very long," Leonard said. "First Dad died and the next year Mom died, both of cancer before age 60." But each had left solid examples of helping others, especially Imogene. "My mom was always doing things for other people, taking food to anyone sick or helping with funeral dinners, and she took in anyone who needed a home or a place to stay," Leonard said. 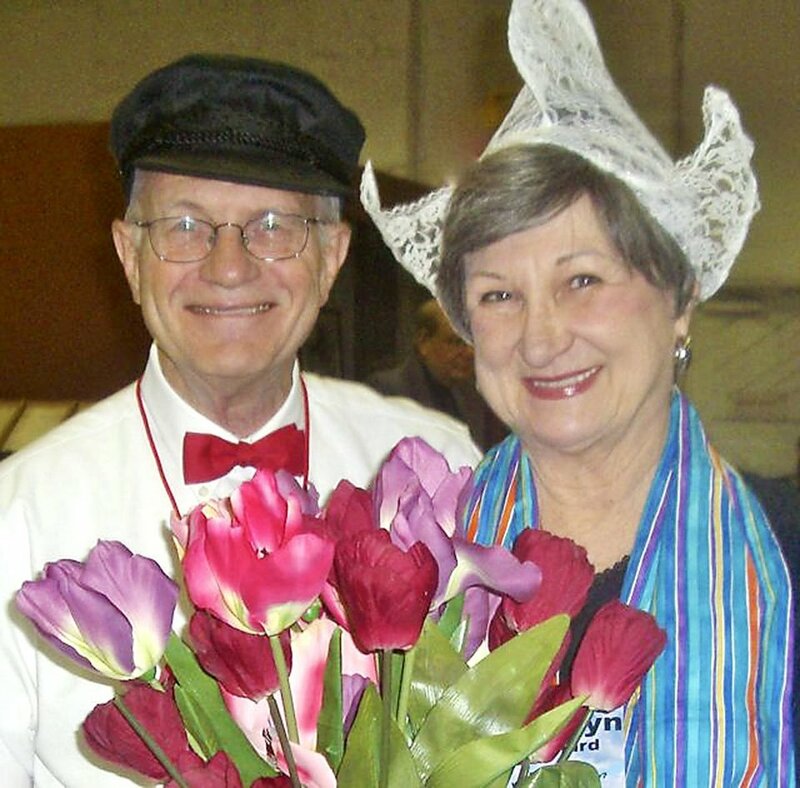 "She was my Girl Scout leader, taught Sunday School, and volunteered as a class sponsor. "She looked after her elderly parents and my Dad's bachelor brothers. No one left her house with an empty belly or without getting a hug. We never had much money but we always had enough, and Mom found a little extra if someone needed it." Leonard has held many jobs through the years including in government offices and at newspapers. Like her mother, she returned to college and in the early 1990s, Leonard earned a bachelor's degree from Oklahoma City University. She authored a how-to book, "Who's Your Daddy? – A Guide to Genealogy from Start to Finish," a couple years ago with the hopes of making genealogy easier and more fun for others. Leonard's goal this year is to finish and publish the family history and genealogy of each of her four grandparents. Leonard and Jon Heavener have been married 21 years. She is working on a historical novel about Heavener's family and a nonfiction book about "my Low Dutch ancestors who lived in New Netherland and later settled Kentucky." The hectic schedule she enjoys includes teaching workshops and traveling to speak to groups about her favorite subjects, writing and genealogy. "I don't charge a fee if have the opportunity to sell my books, but I do accept donations to cover expenses," Leonard said. "This hobby is such a life changer that I enjoy the gigs helping others learn how to get started and stay with it. Learning how your ancestors participated in events makes history come to life, and visiting those places is a thrill." Through her involvement with various organizations, Leonard has come to know hundreds of people. "Carolyn has always been a doer, taking on responsibilities or volunteering to do various jobs for the organizations." Leonard believes that as a volunteer, the return is always greater than the service given. That definitely isn't why she does it, but she has seen it happen again and again through the years. "Volunteering is an incredibly fulfilling and worthwhile experience," Leonard said. "You make new friends, you see someone blossom, you teach a person to do something new or help them find their way on a new path. I met my husband by volunteering, so that is an unexpected bonus. "Life is so short, you have to do all the good you can as often as you can because too soon your time on earth runs out." 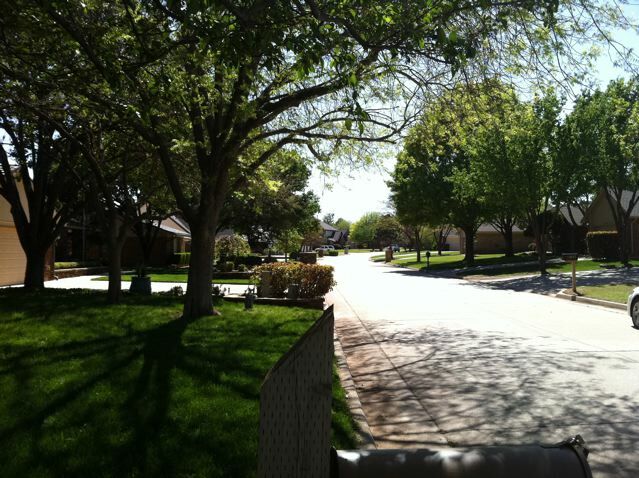 OKC has implemented a mandatory odd/even watering program for Oklahoma City. The rotation program includes residents and businesses and remains in effect until further notice. Citizens whose address numbers end in an even number may water their yards on even-numbered days. Likewise, citizens whose house numbers end in an odd number may water on odd-numbered days. Example: Customers whose address ends with 1, 3, 5, 7 and 9 may water only on odd number days (January 17, January 19, etc.) and customers whose address ends with 0, 2, 4, 6 and 8 may water only on even number days (January 18; January 20, etc.). 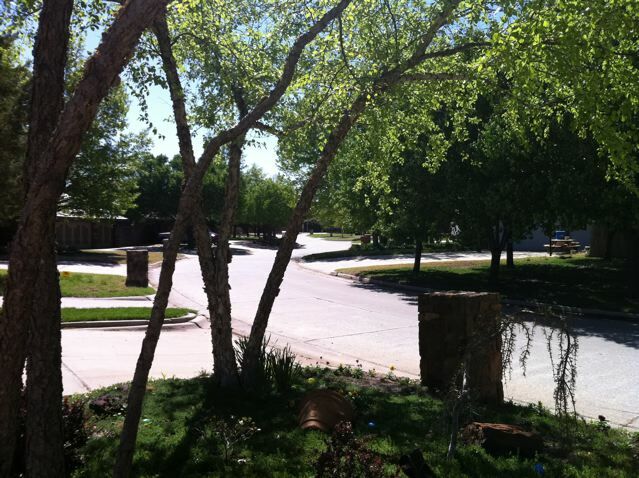 Cities that use Oklahoma City water are also required to comply with the outdoor watering restriction as a minimum. These cities include: Blanchard, Edmond, El Reno, Moore, Mustang, Newcastle, Norman, Piedmont, Yukon, Canadian County Rural Water District #3, the Deer Creek Rural Water Corporation, Tinker Air Force Base and Pottawatomie County Rural Water District #3. The conservation efforts are a result of forecasts from The National Weather Oceanic and Atmospheric Administration's Climate Prediction Center that predict lower than normal annual rainfall conditions. 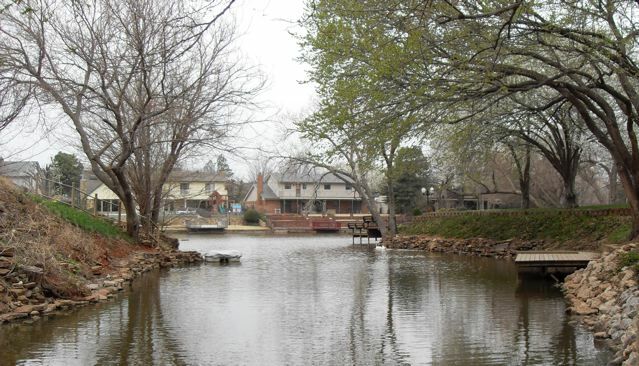 The drought conditions Oklahoma City has experienced since 2011 are predicted to continue. Residents are encouraged to conserve water and reduce their water bills by installing faucets that use less water, low-flow toilets and high-efficiency water-using appliances. Use drought tolerant plant materials in landscaping or gardens. Remember, brown Bermuda grass means it is dormant not dead. It's nature's way of conserving energy. Water plants and shrubs less frequently, but deeply and thoroughly. Project 180 is a massive, $176 million, redesign of downtown streets, sidewalks, parks and plazas to improve appearance and make the central core more pedestrian friendly. Addition of landscaping, public art, marked bike lanes, decorative street lighting and additional on-street parking spaces are planned. As the construction progresses, it affects traffic and activites in downtown OKC. Click here to stay informed and keep up-to-date with the progress. 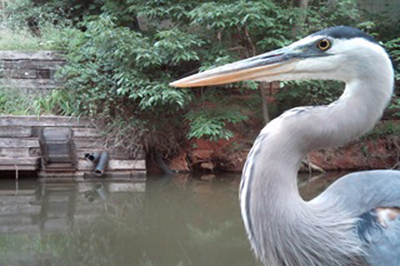 Check out this great picture of a blue heron caught on Chris and Cindy Hulen's trail cam. 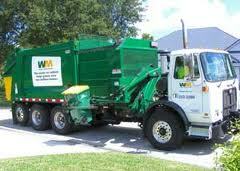 The OKC Waste management truck comes every Monday to pick up and empty our Big Blue Trash cans. The truck has a large arm that must have a 3-4 ft. clearance to get around the Big Blue, grab it and dump it. If you place them on the curb, side-by-side the drive has to get out of the truck and move them so he can get the arm around them. So, please remember as you put your Big Blue's by the curb to space them 3-4 ft. apart. (Added note: please remember to remove your Big Blues from the curb Monday evening and store where they are not visible from the street). Another similar request from our Postman. He asked that we remind neighbors that is there is a vehicle parked in front of the house, blocking the mailbox he is not be able to deliver mail. If he cannot get to your mailbox, he skips your delivery. If you have any questions, please feel free to email the Briarcreek Board at info@briarcreekonline.com. Everywhere you look, you see dead pine trees. Not only within Briarcreek, but across the state. According to specialists at the OSU Extension Center, the disease that is causing the rapid death is pine wilt, which is caused by infestations of the pinewood nematode. Pine wilt is most devastating to non-native pine species such as Austrian pine, Scots pine, and Japanese black pine. The native North American pine species have better resistance. The pinewood nematode is transmitted by sawyer beetles. The beetle, about the size of a grain of rice, bores small holes in the pine tree and feeds on young shoots. The nematodes leave the beetles and enter the trees. Beetles average 15,000 to 20,000 nematodes. Pinewood nematodes have a rapid life cycle (4-5 days when temperatures are 77° F); a fast increase in nematode populations. Symptoms of pine wilt may start with yellowing or browning of needles. Typically, the decline and death of the tree is so rapid that needles will remain attached to the tree and often have a "drooping" appearance. The wood will be very dry and lack resin. Bending of branches on infected trees will often result in clean snapping rather than pliable bending due to the lack of resin. The death of the tree can occur as quickly as one to two months. Do not move or dump without burying infested wood, as you will be transporting and spreading the nematode and beetles. In conclusion, we have a lot of dead and infected pine trees right here in Briarcreek. They need to be cut down and disposed of immediately or the infection will spread to other healthy trees in the neighborhood. OSU extension offices have said that with the burn ban, it is acceptable to cut down the trees and have them hauled to the city landfill where it will be buried immediately. BIG TRASH (the first of each month) will also pick up cut trees and bury them in the landfill. The following arborists numbers are not an endorsement, just a starting point for price quotes. I had to remove a large infected pine tree. I received bids from $100.00 to $350.00. The weather is already very warm. If you have a dead pine tree, please act quickly to get it removed and disposed of properly so you won't infect other pine trees in the neighborhood. The Briarcreek neighborhood was happy to assistance in the rehab of a beautiful swan to our lake. But, she has now been relocated to a larger lake where she can be with other swans. We will miss seeing her in our neighborhood, but hope she is happier living in a larger swan population. The Briarcreek Neighborhood Swan, who we now call "Gracie", made an appearance at the BNA Neighbor's Night Out Party. On a fun note, we have a new 'wild' addition to the neighborhood. We have a swan. 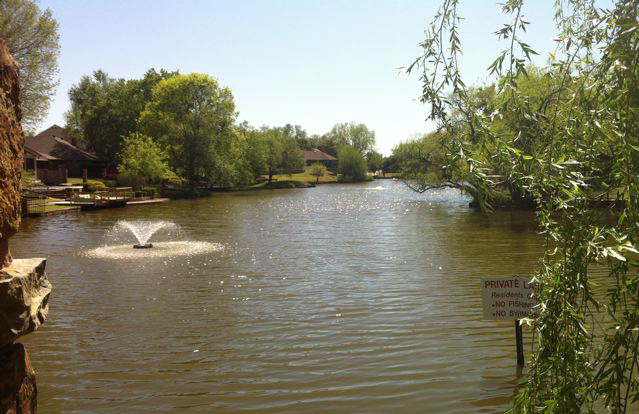 It was rehabilitated at WILDCARE wildlife sanctuary after being shot at Lake Hefner. 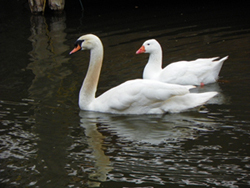 The swan and her best buddy (a large white goose) were released into our lake on March 13th. Although released on Briarcreek lake, they have made their home on Silver Lake. They can be seen gliding across Silver Lake at the east end of our addition. Many neighbors have commented on how much they enjoy the beautiful new 'wild' addition to the neighborhood.